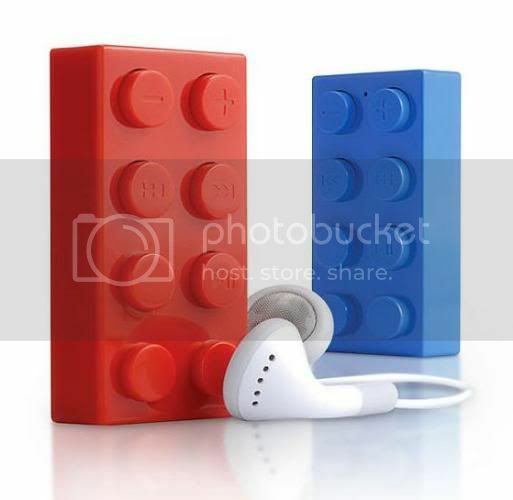 We have seen so many Lego gadgets for the past few months; some were USB pluggable devices like Mic, Webcam, Mem card, Bluetooth dongle, etc and others Ironman, Guitar and so on. Today you’ll see another one which is truly amazing. It’s tiny but it’s got all the basic features that a Mp3 player should posses. It’s a single 2Ã—4 block but as I said earlier it’s much more than an ordinary 2Ã—4 block. The eight bumps that you see on the block are modified into buttons. You can pause, play, stop, forward, rewind, increase/ decrease volume by simply pressing these tiny buttons. There’s one drawback, they are pretty small and hence it will be a little difficult to press the right one with your finger. The Lego iPlayer is bundled with ear phones but unfortunately no memory card is provided with this package. You gotta use your own micro SD card. It’s available in three colors red, blue and white. But, unfortunately you can’t choose your favorite. If you liked it you can get one from here for around $20.